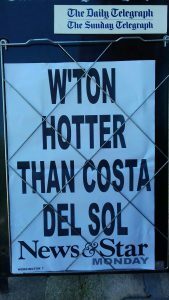 Well, that’s not a headline you see very often is it? However there is usually a certain amount of predictability about May, spring flowers, lambs, birds but each year there are differences. 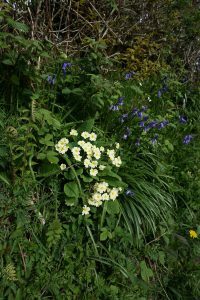 This year the spring flowers all seemed to come together or overlap, we had primroses and bluebells out together and you could count over twenty different flowers in the hedgerows. The spring flowers are now giving way to the whites and pinks of cow parsley, dog daisies and campion and the lanes are becoming narrower as the hedges encroach. I heard the first cuckoo on 29 April and there’s scarcely a day goes by without hearing one in the woods or across the valley. 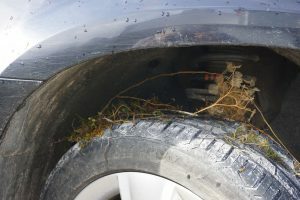 The blackbirds in particular have been very busy in the garden and I found one trying to build a nest on top of one of my car wheels – not a very sensible place. 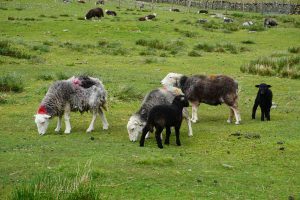 Lambs are always a big feature in May and the black herdwick lambs are very special. They are not, however, easy to photograph when they are small as their mothers see you and put themselves between you and their lambs. Many people ask how Max, my rescue collie is getting on. He is a lovely friendly dog and has come a long way since I got him last year. 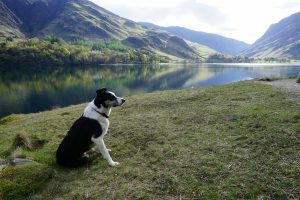 He is gradually gaining confidence and is enjoying going out for walks more. He is also learning to pose! 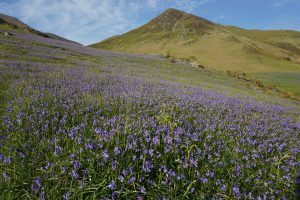 And finally no May blog would be complete without a picture of Rannerdale bluebells.